TUI Group continues its growth roadmap in its hotel segment with an expansion of its long-haul portfolio. 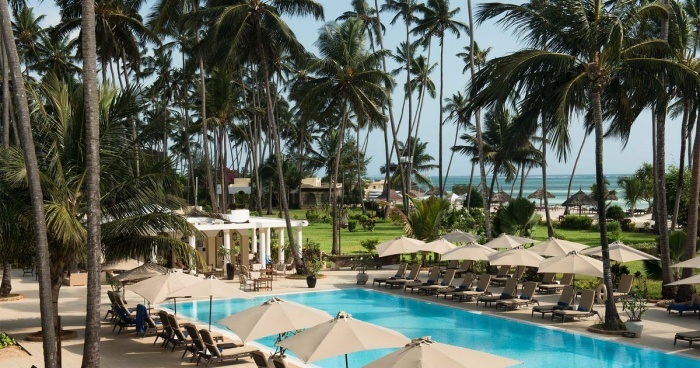 The group has announced the acquisition of a resort in East Africa’s island of Zanzibar. The ‘Dream of Zanzibar‘ hotel will be operated by TUI as of now. In this context, all existing reservations will be taken over and honored. In the 2019/20 Winter season, the hotel will then be repositioned as TUI Blue Zanzibar. With the takeover of the resort designed in the African-Arab architectural style, the new lifestyle hotel brand will make its debut establishing its concept focused on authentic experiences within the holiday region in a long-haul destination. The island off Tanzania’s coast is renowned for its spices, white beaches, and cultural diversity. Attractive excursion destinations also include Stone Town, the historical old part of Zanzibar City, designated as a UNESCO World Heritage Site. The destination in the Indian Ocean is increasingly becoming a trending destination, not only for beach holidays after a safari trip. Alongside TUI Blue Zanzibar. TUI Group will open another hotel on the island this winter season, the Riu Palace Zanzibar. For a number of years, TUI Care Foundation is also active in Tanzania. Since 2015, the Foundation has teamed up with the local Kawa Training Centre to offer young people from Zanzibar the opportunity to undergo training to become tour guides. The programme offers the participants the chance to obtain professional skills, opening up new job prospects in tourism. Αναρτήθηκε από geop στις 3:30 π.μ.